Just a reminder about our upcoming "Cochran Countdown" on Rockabilly N Blues Radio Hour to celebrate what would have been Eddie Cochran's 80th birthday. Lots of votes have been cast for our "Top 5" listener voted "Cochran Countdown" during October. We'll tabulate the results by the end of this month to prepare the shows. 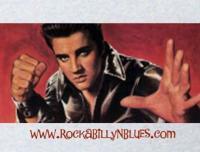 Votes are super close so if you haven't voted yet, go to this link and let us know your favorite: http://rockabillynblues.blogspot.com/p/favorite-eddie-cochran-song.html Please don't put your vote in a reply as I'd hate to miss any votes. Chris Isaak interview & more! Yeah, that's a trip to run into Robert Plant at the free breakfast! You don't have to sign up. The audio interview is on that page. Pretty cool interview. Love that Conan is way into rockabilly. I would agree. There is always a massive buzz here in Nashville whenever they release something....as well as a massive line to get in for anything special they release. They think like a fan which I think is key. Sorry about that. I didn't see this original post. I was just excited about it being released finally. I caught the first night here in Nashville. The second night was a crazy snow storm but it added to the overall story of them filming the show. The snow storm kind of shut down parts of the city. It says a lot of how loyal his fans are to brave getting to and from the show. I had a couple of friends text me as they were en route to the show asking if the show was worth it due to traffic, etc. I told them if they could make it, they should do it!